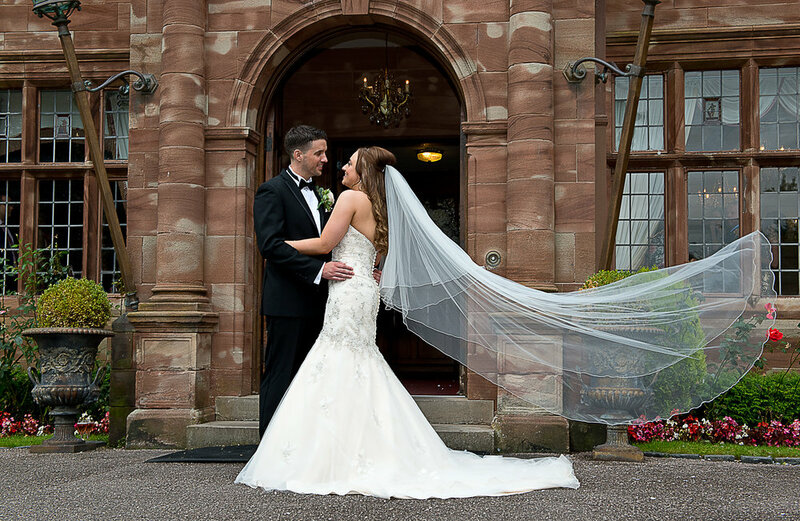 I will tailor the price to the level of service you require by listening carefully to you and creating a bespoke quote, after all this is a unique day, no two weddings are ever the same! Therefore please use the following 'packages' as a guide. Please also note the example packages do not include any printing or albums, they are USB or DVD only packages. Albums start from £150. A second photographer can also be hired to increase the coverage of your wedding for an additional charge of £250. To spend time before the ceremony with the brides and/or the grooms party taking candid images of them getting ready and relaxed portraits of them before they depart for the ceremony itself. With a minimum charge of £325 I would photograph the essentials of your wedding ceremony from arrivals and pre-wedding portraits, the emotional moments of the ceremony, newlywed portraits and key group shots afterwards. These would then be seen in a password protected online gallery, and the final images presented on either a special presentation USB or DVD. Prices then rise as I stay for longer and photograph more of your special day to include more relaxed portraits of the newlyweds, more group shots, informal drinks reception shots, the wedding breakfast and speeches and the cutting of the cake. This would usually start on the morning of the wedding with the excitement of the bridal party, and possibly the grooms, getting ready. I would then stay with you all day photographing all your wedding day emotions and events I would then stay to the end of your evening together by photograph the first dance, evening entertainment, your bouquet throwing and departure from the reception. Contact me to make an appointment to meet in my studio and see more of my work including sample USBs, DVDs, prints and albums.